Tinnitus is the medical term for ringing, whooshing, or other similar sounds in your ears. An annoyance when it happens in the short term, tinnitus can have a significant effect on your life if it becomes a chronic issue. You don’t have to struggle with tinnitus any longer, though! At Mt. 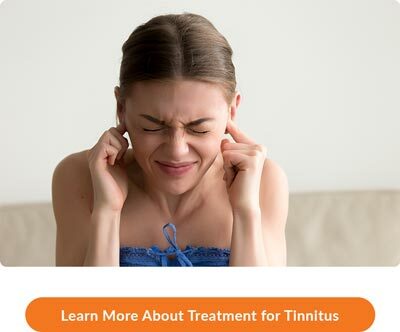 Harrison Audiology, our tinnitus specialist in Rupert, ID, is proud to offer advanced therapies that can help relieve the ringing in your ears. Using this information, our experienced team can provide you with a treatment plan that’s personalized to your specific needs. Schedule Your Consultation with Our Tinnitus Specialist in Rupert, ID, Today! When you are ready to quiet the ringing in your ears, call Mt. Harrison Audiology at 208.312.0957 or CLICK HERE to request your complimentary, no-obligation Mt. Harrison Audiology Communication Consultation. Your new patient consultation includes a a review of your medical history, an in-depth discussion of your hearing loss concerns and goals, and an explanation of our process, for FREE. After your consultation, our experienced team will recommend further evaluation and testing, and a treatment plan customized to your hearing needs. Come experience our 5-star-rated treatment for tinnitus at Mt. Harrison Audiology – we offer comprehensive care you can count on!